Samuel Woodward leaves a court hearing at the Harbor Justice Center in Newport Beach, Calif., on Wednesday, Aug. 22, 2018. Woodward is charged with the murder of a University of Pennsylvania student Blaze Bernstein. A Southern California man has pleaded not guilty to charges he murdered a gay University of Pennsylvania student in a hate crime. 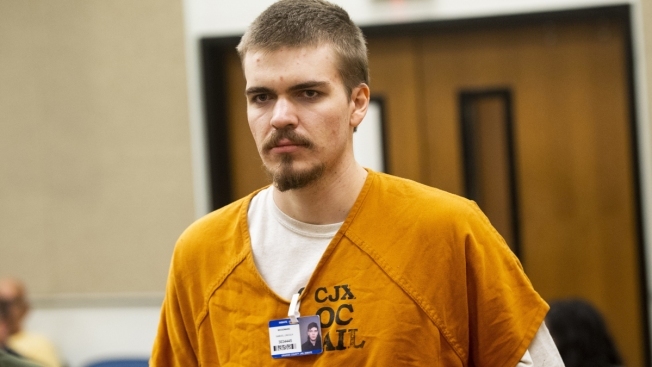 Samuel Woodward entered the plea Friday during a hearing in Santa Ana, California. The 21-year-old suspect is now being held without bail. Woodward is charged in the January stabbing death of college sophomore Blaze Bernstein. Bernstein went missing after going out with Woodward to a park in Lake Forest. His body was later found in a shallow grave in the park.